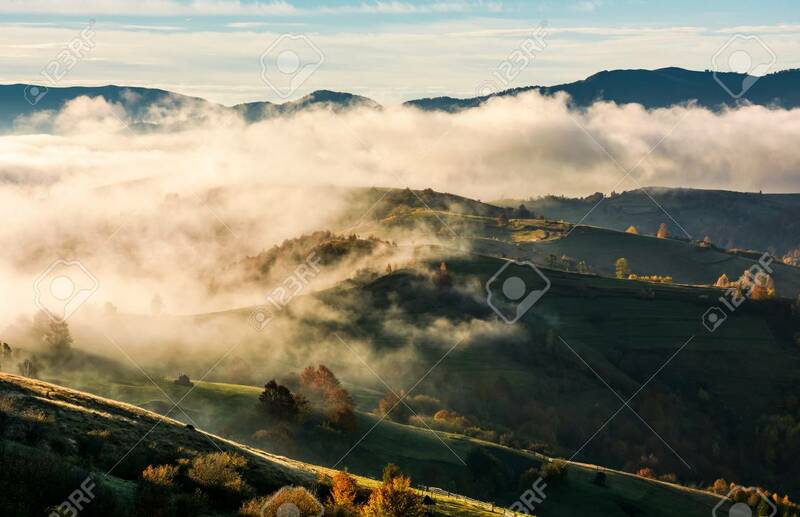 Thick Fog Over The Rolling Hill In Autumn. Amazing Mountainous.. Stock Photo, Picture And Royalty Free Image. Image 87601109.